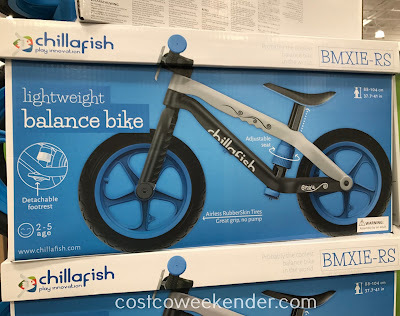 My kid has a similar bike to the Chillafish BMXIE-RS Balance Bike at Costco and he absolutely loves it. 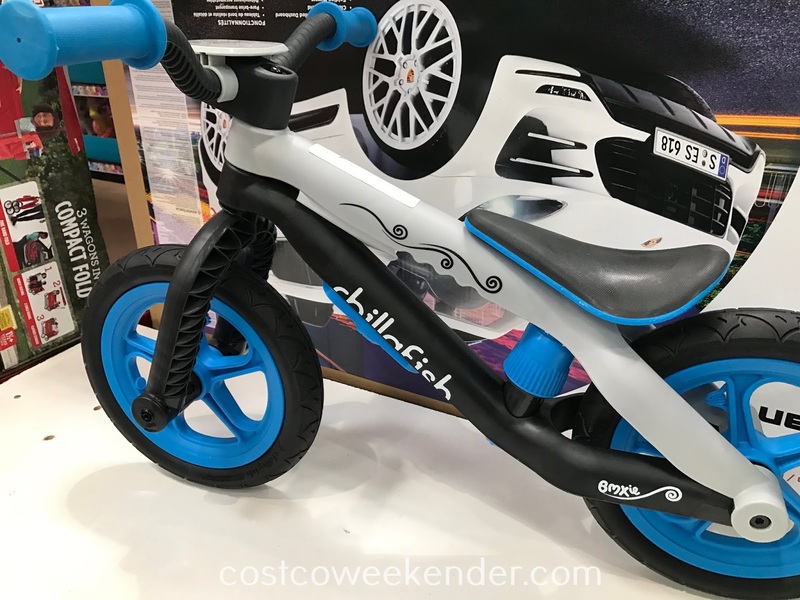 Just like Chillafish, his bike comes with airless tires that are very grippy. 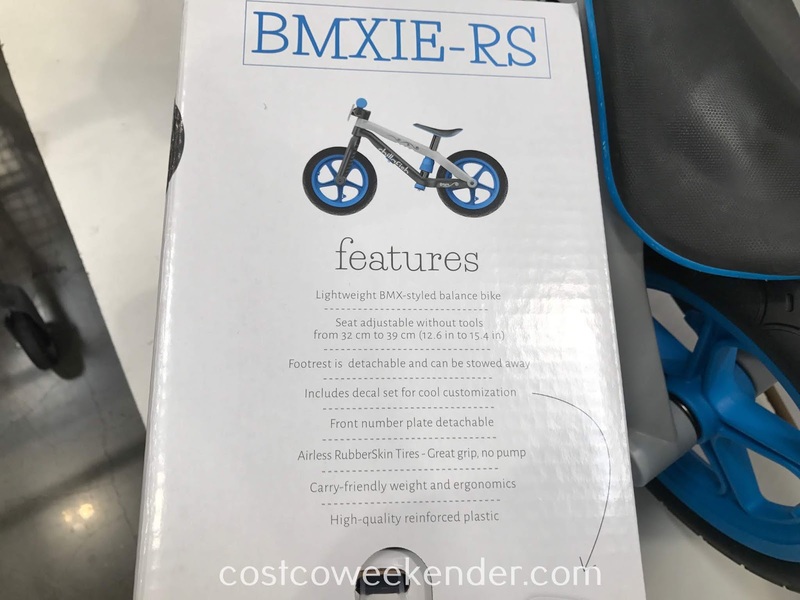 These are great because you don't have to worry about pumping them up. I like that the Chillafish comes with a footrest too. So if your toddler gets a little brave, she can start using that. Since the bike is make of reinforced plastic, it is light-weight in case you need to carry it around. 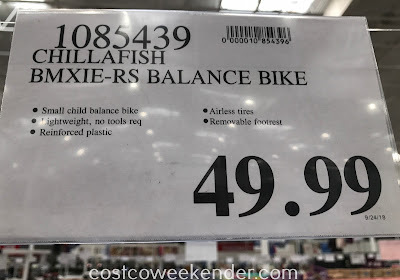 And yes, when dealing with a toddler, sometimes they'll just drop the bike when you're far away from home and refuse to ride it because they're tired. 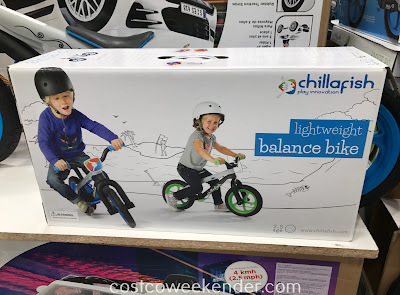 And you're left with carrying the bike home yourself. So get your kid biking right away with the Chillafish Balance Bike.